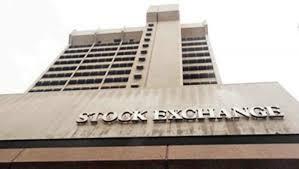 The Nigeria stock market, yesterday, gained N294 billion in reaction to the decision of the Central Bank of Nigeria, CBN, to allow market forces determine the Naira exchange rate in a new single structured foreign exchange market. CBN Governor, Godwin Emefiele, yesterday, announced the introduction of a new foreign exchange policy, termed the “automatic adjustment mechanism of the exchange rate” in a flexible foreign exchange regime. The new regime is aimed at boosting supply of foreign exchange and reducing the pressure on the Naira. CBN had been under pressure to devalue the Naira for over a year now, which had been resisted by monetary and fiscal authorities, claiming that past devaluations did not benefit the economy, being import dependent. Instead, the apex bank had adopted a controlled market with pre-determined supply and exchange rate. Announcing the major policy shift, Emefiele said: “The Central Bank of Nigeria has always maintained that it would continue to monitor situations on ground and ensure that the bank’s policies reflect these facts and developments rather than the sentiments of any groups or sectors. “It is in the light of this principle that we now believe that the time is right to restore the automatic adjustment mechanism of the exchange rate with the re-introduction of a flexible inter-bank exchange rate market. The new regime would operate as a single market structure through the inter-bank/autonomous window. CBN shall introduce non-deliverable over-the-counter (OTC) naira-settled Futures, with daily rates on the CBN-approved FMDQ Trading and Reporting System. Non-oil exporters are now allowed unfettered access to their foreign exchange proceeds, which shall be sold in the inter-bank market. Emefiele said the primary dealers would be about eight or 10 banks with the capacity to go to the market with as much as $10 million.